Discover the three “C’s” that impact effective management of indirect spend: Control, Configurability, and Collaboration. There are so many controls in procurement and accounts payable when it comes to managing direct spend; the purchase and payment for goods and services that make up the core competency of the company. Apparel companies need fabric and machinery; healthcare corporations need medical equipment and pharmaceuticals; trucking companies need vehicles and maintenance equipment. But running the day-to-day operation of the business also requires a wide range of potentially, but not definitively, low-ticket but absolutely necessary services and products that fall under the category of indirect spend: office supplies, janitorial supplies, uniforms, HVAC contractors, utilities, etc. Yet oversight of indirect spend is often lacking due to decentralization and a basic lack of protocols, rules and standards to manage these transactions. What a P2P automation solution can do is enable procurement to effectively manage indirect spend. Control – No business is exactly the same when it comes to procurement policy. 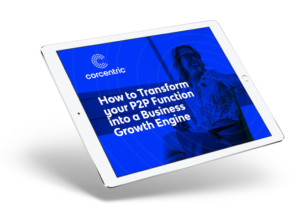 So, rather than a one-size-fits-all policy, many P2P solutions have built-in purchasing controls that can be customized by procurement to handle their company’s stipulated business policies. This customization can result in “different requirements, restrictions, and workflows for spend,” whether you’re looking at PO, invoice amount, user, or even spend category. Control is also realized with real-time visibility into each transaction and spend activity; an accomplishment that is simply not possible with paper documents and manual processing. Even difficult-to-track non-PO transactions can be managed more effectively with P2P automation which include special rules and workflows for non-PO transactions. Configurability – As no company is exactly the same when it comes to policy, no company is exactly the same when it comes to processes. A P2P solution can be configured to fit with any process or requirement, including IT specifications and approval workflows. And many are ERP-agnostic, which means they can be integrated with a variety of ERP systems. The flexibility of these solutions enables companies to either implement the entire end-to-end capability of the solution or utilize only specific functions on a menu-driven basis. Collaboration – I’ve written often of the need to break down silos and barriers that interfere with the smooth movement of transactions from the purchase order to the payment. End-to-end P2P solutions not only make it possible for procurement and accounts payable to work together; they make it absolutely essential that these two functions keep lines of communication open consistently. Since both departments have full visibility into every transaction in real-time, both departments are better able to optimize their performance. Other stakeholders are also able to join in to create a truly collaborative process that informs all involved as to the status regarding outstanding liabilities, cash flow, and exceptions. 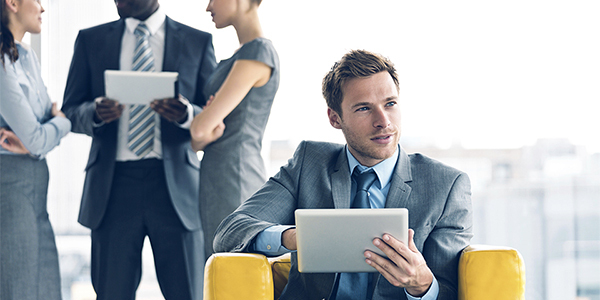 This information will give finance the data it needs to better manage working capital. Download our Paystream Advisor’s Report on P2P automation & management over indirect spend.